I am living with Dementia and enjoy meeting like-minded people and, hopefully, making a difference. I want to make a difference to existing policies, thinking and expectations. I hope to meet more people living with dementia who are not far along the journey and still have a good quality of life! I joined the core group because we need more people to support and volunteer among the community, because of the lack of Admiral Nurses in Nottingham—a criminal shame. I hope to see DEEP / Peer support groups develop in Nottingham and have started to visit other groups to get ideas. 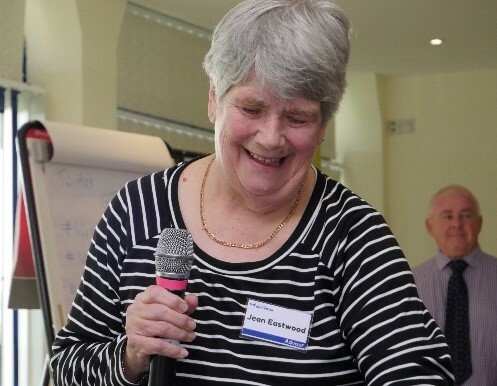 It seems an age since a phone call from Jane started a journey which resulted in me being part of an event for people living with Dementia speaking out. I have my mum to thank for bringing me up to be independent. I now live on my own with my dog. My daughter lives a bus ride away with her adult Autistic son. If I require help, that’s my first port of call sometimes. My 2014 diagnosis of Alzheimer’s disease changed my life. The phone call from Dr Jane Rowley started with an invite to be part of a group instigating a conference later in the year! The group consisted of four people living with Dementia, Jane and an admin (Ghazal). 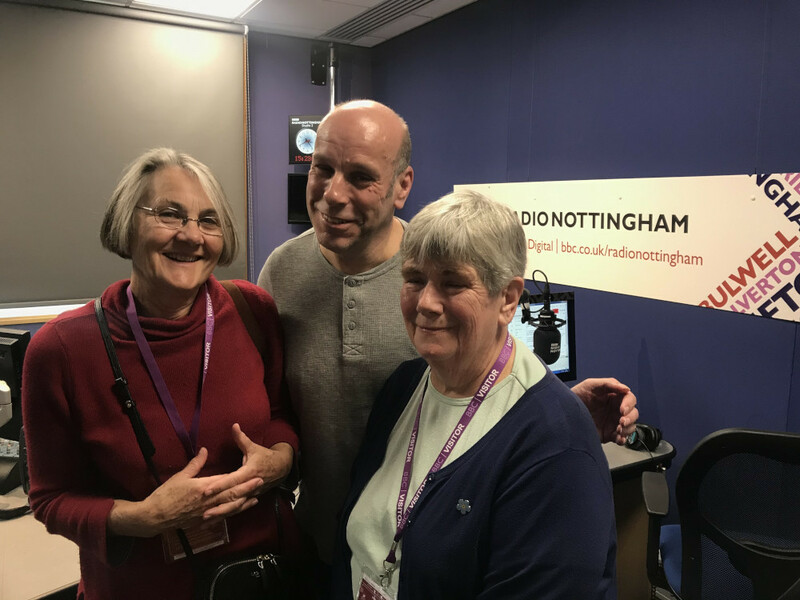 We started forming an idea to reach the people of Nottingham both Professional and, more importantly, people living with Dementia to give them another form of voice. I have, for a long time, wanted with a friend, Steve, to form a DEEP group in Nottingham. The chance has come! We met for the first time in April, I think. 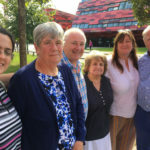 Two people, living with dementia came from out of town, George and Shelagh had previous experience of Conferences on Dementia, but Steve and I hadn’t. We looked at what we wanted to achieve. It has been very special to be part of this uncharted event. 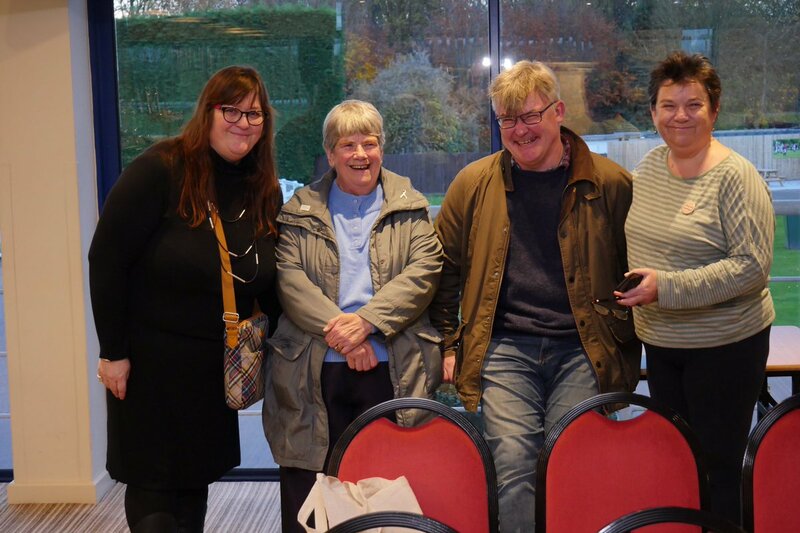 The planning of the event sent us through venue choosing, the content, refreshments, date, the participants, volunteers and we left the funding to Jane and the Trustees of Trent Dementia. (Thank goodness). At BBC Radio Nottingham Kate, Trent Dementia Advisor to trustees, and I gave an interview on the conference. The event was deemed a success! There was a large meeting room able to house various trade stands, small rooms for individual talks, a refreshment area, etc. We, four, each gave a short talk on different aspects of living with Dementia. Mine involved speaking about the support you can get from friends living with Dementia meeting together. The Alzheimer’s Society gave me the opportunity to meet people in Memory Cafes, Singing for the Brain sessions, Memory Walks Volunteering, Fundraising and Public Speaking (It helped). After a delicious lunch, we launched into small rooms to discuss different aspects. Mine was to look at starting a DEEP group. I had contributions from Rachel and Damian (experts on DEEP) and a lively exchange of views on this topic. The end of the conference disseminated the findings of the talks from the rooms. Shelagh had taken charge and ended the conference with a wish of a safe journey home. Now in 2019, we have just met to look at what comes next. Shelagh and George have stood down. 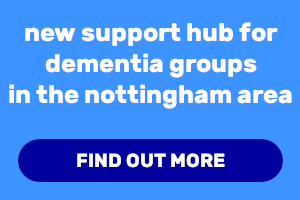 We will be looking to recruit two or three more people living locally with Dementia to join in planning the DEEP group(s) in Nottinghamshire. Steve, his wife, and I are going to visit York Minds and Voices DEEP Group next month to gain experience of good practice. I have also been to the group meeting at Shrewsbury. We look forward to an exciting time this year, again! 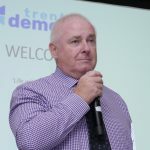 I must add my thanks to the venue at the Nottingham Racecourse, The Trent Dementia Trustees, Nottingham University, BBC Radio Nottingham, Notts TV, but, mostly, the volunteers who worked tirelessly at the event to make it a success. Hopefully, you have an idea of the wonderful experience I can now add to my memories.